This week’s steal-worthy sponsorship idea comes fresh off the heels of Mozcon 2016 with sponsor Buffer’s oh-so-smooth swag. 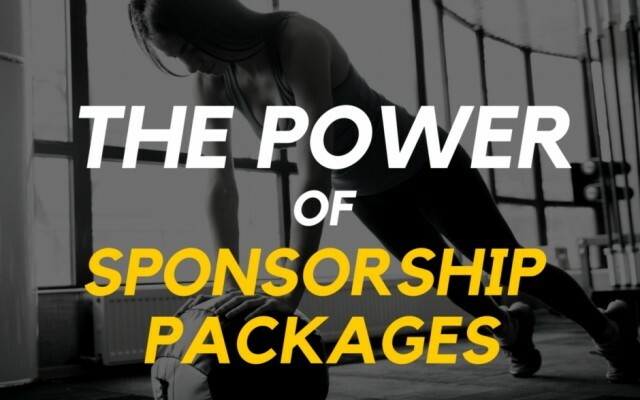 So many companies spend big bucks on a sponsorship and relish the opportunity to put a branded item into a hot conference or event’s swag bag or they stock up their booth reps with plenty of branded giveaways. They’ve got the right idea in offering something of value (a gift item) to their target demographic (the event’s attendees) and they often do it in exchange for an email to later follow up. But here’s where the breakdown is: the gift is usually a cheapo pen, wonky-looking water bottle or a flimsy memo pad. None of these items have the longevity to last beyond the standard three day conference stretch. And, those giveaway items are usually as ugly as sin so they’re much more likely to earn a place in your prospect’s hotel room waste bin than they are to hitch a ride in their luggage to earn a place on their desk. 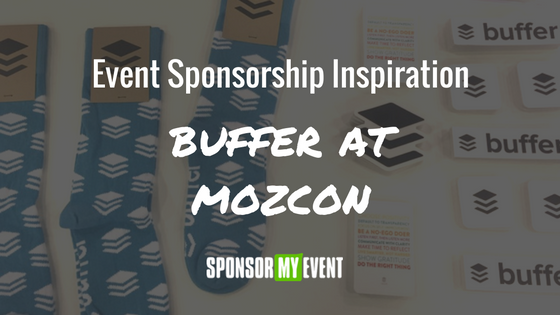 That’s where Buffer killed it at this year’s Mozcon event. Super cool socks, quality notebooks and massages were among their giveaway choices…all perfectly matched to their target demographic. Here’s the rule of thumb for swag: if the item is not something that your prospect will consider to be worth toting all the way back home to eventually put on their desk or somewhere that they’ll see it on a regular basis, it’s not worth investing in. If you can’t afford the budget for 1,000 ‘nicer’ giveaway items, cut your budget in half, ante up for a gift with more swag (no pun intended) and restrict who receives them. 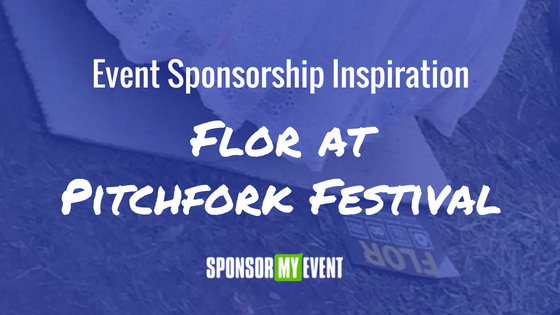 Steal it: For event organizers, find a way to pack your swag bag chock full of goodies that not only expose your attendees to sponsors’ brands but also deliver value! Buffer’s sky blue logo socks were a hit because they were an inexpensive item that oozed style but still promoted the brand. For sponsors, get creative about what your bag drop item will be. Go beyond the cheapo pen and notepad combo. If you want to provide a notepad, make it a nice one that folks will enjoy having on their desk. Notice how subtle the Buffer branding is on their notebook giveaway. 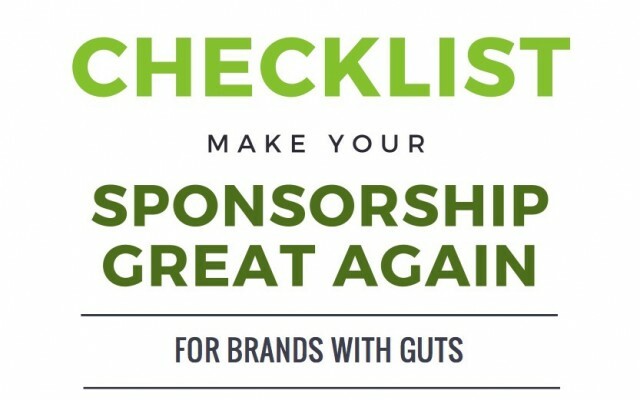 The power of Sponsorship Packages Event Sponsorship Inspiration: Flor Carpet Squares at Pitchfork Checklist: Make your Sponsorship Great Again – For Brands with Guts!